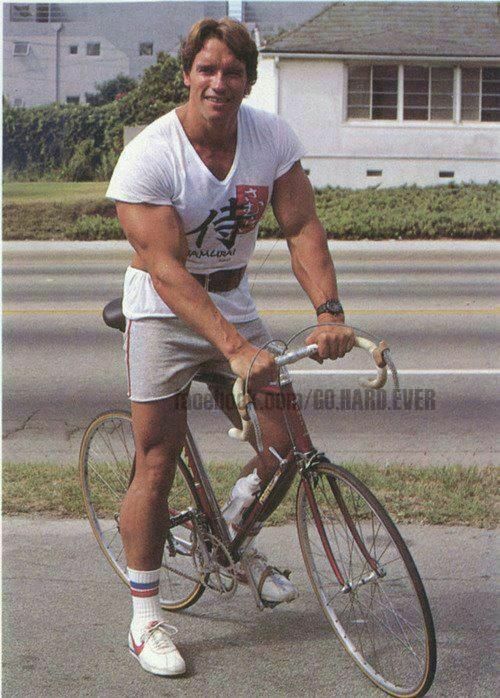 I know it's a funny pic, but imagine holding this for 10, 21 or 42 km off the bike ... Set your posture tall. I don't think anyone is advocating *that* much of a forward lean. Just a little while "standing tall"
...At the time I did those weights and I never missed them as I enjoyed the lifting, I got my one and only stress fracture and a number of other overuse injuries. ^^^ this too... I got my one and only stressie (sacrum) while running around 50km a week but doing weights/strength/stability/conditioning (don't understand the difference really) sessions that I was not recovering from. Too much fast stuff on DOMS. What does ‘80% 1RM ‘ mean? 1RM is 1 rep max. You're doing 10 reps at 90 kg, but have you ever tried to see just how heavy you can go for a single? if its ~110 you're at around the right weight. Judging by the amount I have to raise the peg following the previous folks, it would seem so. I leg press 90kg every time I get up. 1 RM as stated is the most you can lift once. If you are lifting less than 70% of this you are not training strength. I wouldn't advocate testing 1RMs unless you have some background behind you. as long as you are doing sets of between 4-10 reps you should be in the right sort of range. If you can do 10 reps and it feels really easy then you probably need to bump the weight up a bit. For safety keep it so you could lift another 2 reps if you had to. BF and BB present interesting anecdotal cases. Out of interest, in the 3 months before your stress fracture was diagnosed, did your weight training/conditioning routine change? What about running volume? Three months before was doing the same running volume. It was around the time the newton craze and move to neutral and minimal running shoes. I changed from a Gel Kayano to more minimalist shoe, alos focussed on run technique, trying to run mid foot emphasis, bam stress fracture. Weights in no way caused that. Running volume was the same. I think the "conditioning" training probably started 3-6months prior, but I'll check tomorrow when on PC. Sets of 10 reps is just above the true strengthening threshold. That amount of DOMS is certainly excessive. One bout of DOMS is supposed to be protective for the next month so one or two sessions should be it usually, then a 3 week layoff should still not produce the same level of DOMs. Sounds odd. So if sets of 10 reps are above strengthening threshold, what are they considered to be? A conditioning program? Stability? I thought the slight forward lean from the ankles was universally acknowledged as most ecconomical? I've been hearing this for years. You have another opinion I take it? 70% of 1RM is minimum for strength adaptation. Sets of 10 equates to just over 70% for most people. This is strength training, ie you are above the the 70% threshold required to get strength adaptation. That's a seated row tng isn't it? Not a leg press? Or just cos it's in the gym? I wonder if she leant slightly forward on her run to the gym? Gait retraining in female runners with PFP, using a full-length mirror, resulted in significant improvements in pain, function, and abnormal mechanics from their baseline measures. The new movement skill transferred to the untrained tasks of single leg squat and step descent, thus indicating acquisition of a new motor skill. Reductions in pain, function, and mechanics were generally maintained through 3 months, suggesting potential for long term changes. The results of this study are promising, as this technique requires only a treadmill and a fulllength mirror. Further study is necessary to determine the long term efficacy of this treatment technique. Taking studies out of it, as this thread will become very long when we start picking studies as there is a study to support almost any hypothesis. While that's true, Parkside was at least referring to a meta study - a study of all studies such that we can reasonably assess average impacts of a given intervention and as such the findings are based on all the available relevant research that meets at least a minimum level of research quality. Using systematic studies means the cherry picking is kind of dealt with (although still easy to do). even so when an effect size is clear you still need to account for individual variability when applying such strategies. The problem is none of the specific research included in the meta study was directly relevant to triathlon (or S B R) because there is no published research meeting the quality standards addressing the question for these exercise modalities. Extending this to SBR requires a leap of faith, which is easier if the actual causes of injury reduction are understood beyond correlations. Hence the lack of evidence means it's an area where belief based approaches tend to rule the roost. It may be that they turn out to be correct, or maybe not. It's just not really possible for any individual or individual coach to make such assessments free from bias. Which is why I'm in the camp of it may well work as it does for some other sports but the evidence just isn't there to really demonstrate one way or another a clear effect for SBR and triathlon. As research and evidence emerges, then so will my views be shaped. Study of all studies possible maybe with big data but study of all studies. no one is saying don’t do weights go crazy it can be fun. She's most likely waiting for a treadmill to become available. That is like saying where are all the triathlete, running people doing body builder comps. You probably actually see more body builders run then you do triathlete entering body building comps. In endurance world strength training supplements what is referred as Cardio vascular exercise. The other issue is individual variations in response, as for most physical training modalities. Findings for these sort of studies usually show a spread of responses, some people respond much better than others. With enough subjects a statistically significant result can show up. Like all training it works really poorly for some, really well for some and moderately well for most. So is there any benefit to doing reps of less than 70%? Logically there would seem to be some benefit, perhaps just not with an emphasis on 'strength'. I do lots of repetitions of lower weights (reps of between 15-20 before failure) and seem to have toned up OK for an old bloke. I feel way stronger than I did when training for triathlon. Now hands up please all the people on here that can, or ever could do those 2 things. This shouldn't take too long. The OP asked if anyone had gained any benefits. By that, he probably meant had anybody improved from MoP to slightly ahead of MoP, not FoP to even further FoP. The context is getting lost a bit with all the responses and people who just want us all to do weights. If you like it knock yourself out. If you want to improve at biking or running go bike and run. Running sub 1730 is/was hard and no weights were done, we were just skinny kids running for soccer. Sub 50 for TT was for a laugh as Jimmy C thought this was something we should all do. The best I ever got to, was under Col Stewart. Gym sessions twice a week to complement the plenty of SBR. He did pretty well with a few of his charges. But never got near 50min sorry. It wasn’t that long ago that sub 50 would have netted a Nat Record. Qualy times for Nats are 52s and the standard is very high. I doubt anyone on this board is or has ever been within cooee of sub 50. Best I ever did was a high 57 and that’s so slow nowadays that it won’t even get you an invite to a regional open. The difference between 55 and 52 is incomprehensible to most unless you are a serious tester. Was just listening to Brad Beer interviewing Deek this morning - regarding a question on strength training, Deek said something along the lines of “running hills was my strength training”. Deek didnt use a garmin either so maybe should get rid of them too. Amazing and great application in programming. Same with a young tennis player i work with she now can last 2-3 day tournaments against the older girls. More tennis would not give her this it woukd actually create burn out. Great her coach realised that. So a garmin is the only way to measure improvement. I looked at his finish pic no watch. A Garmin (or many other GPS devices) is obviously a convenient way to track your progress. But of course there are plenty of other (some might say “time honoured”) ways to measure if, and by how much, you are improving your run, bike or other activity. For what it’s worth, Deek also expressed disappointment that no Aussies have gone faster than him in the marathon in ~30 years. I don’t recall that he suggested Garmins were to blame. Apart from the massive clock on the roof of the car he was following. Boston Marathon Youtube link to the race with the Pickup truck with a digital clock mounted on the top. They didn’t provide on course toilets either back in his day. Deek didn’t always need a toilet! I used to get a gagging sensation when I'd see someone sucking water out of them. Quite often a garmin is used to measure time, distance and thereby pace. You map ur run distances. And know the times it takes us to run them. Thereby pace. I imagine you might track ur progress by recording or remembering these things? You may ur dun distances. And know the times it takes us to run them. Thereby pace.